In Mekong Delta region of Vietnam, antimicrobials are widely used by poultry farmers but little is known about socio-economic drivers that influence the way farmers give antimicrobials to their flock. This study aims to identify socio-economic drivers related to farmers’ attitude of antimicrobial usage (AMU) using a combination of participatory epidemiology (PE) and Q-sort approach. 26 focus group interviews (FGD) were conducted on 125 farmers (chicken and duck) and 73 farmers’ advisors, including veterinarians, vet-shop owners, and commune animal health workers (CAHWs) in 5 districts of Dong Thap province (Mekong Delta). Through interviews, 46 statements relevant to AMU including antimicrobials’ perceived reliability, practice, costs and impact on flock health were created. Those statements were then processed using Q-sorting using a structured sub-group of famers (n=28) and farmers’ advisors (n=26). Four and three discourses were selected in the farmer group and farmers’ advisor group respectively, representing 50-55% of the total explained variance. These discourses contained different attitudes of AMU among farmers. One consensus point among the farmer group is the perception that antimicrobials are more expensive than biosecurity methods. Consensus points among members of the farmers’ advisor group members were: (1) high-quality drugs have a relatively higher price than poor-quality counterparts; and (2) controlling disease using antimicrobials is more costly than using other biosecurity methods. The methodology applied allowed to obtain meaningful insights into perceptions of the different stakeholders involved in antimicrobial prescription and usage in poultry farming. This knowledge can contribute improvement to success of intervention strategies aimed at curbing indiscriminate use of antimicrobials in the region. Dr. Bao’s interests include infectious diseases and veterinary public health. In July 2017 he was awarded a Doctorate in Science (PhD) by the National Veterinary School of Toulouse (France). His PhD studies focused on how Vietnamese farmers could be better involved in the surveillance and control of Foot-and-Mouth Disease at the local level. 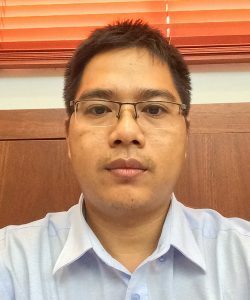 He is currently a lecturer at the Faculty of Animal Science and Veterinary Medicine within Nong Lam University (Ho Chi Minh City). He has published 7 papers in international journals.